April 28 2015 trip from Saigon. 7 photos. 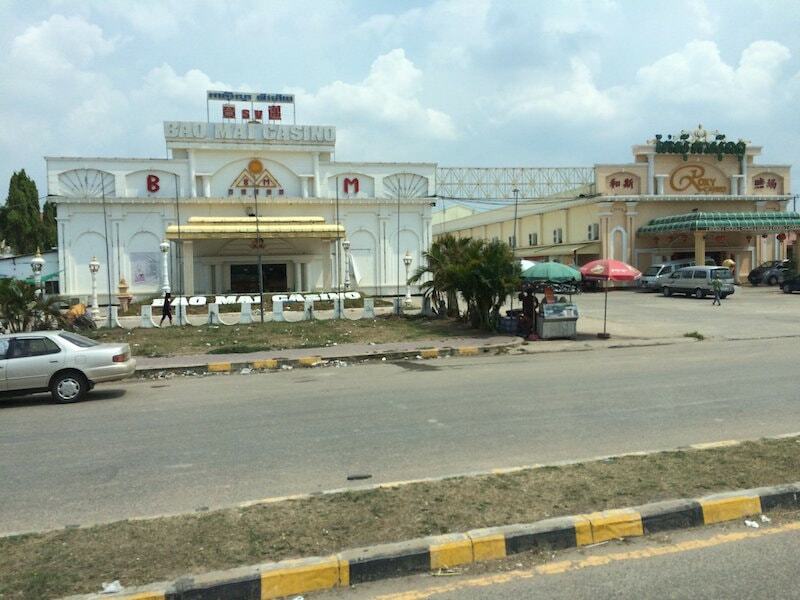 Lots of casinos in Cambodia right inside the Vietnam border. 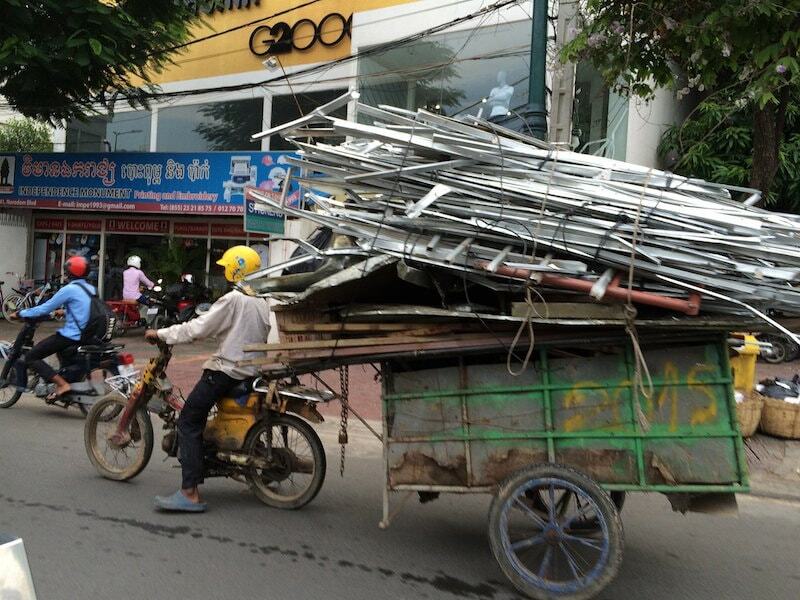 All the signs are in Vietnamese. I wonder who really owns these. 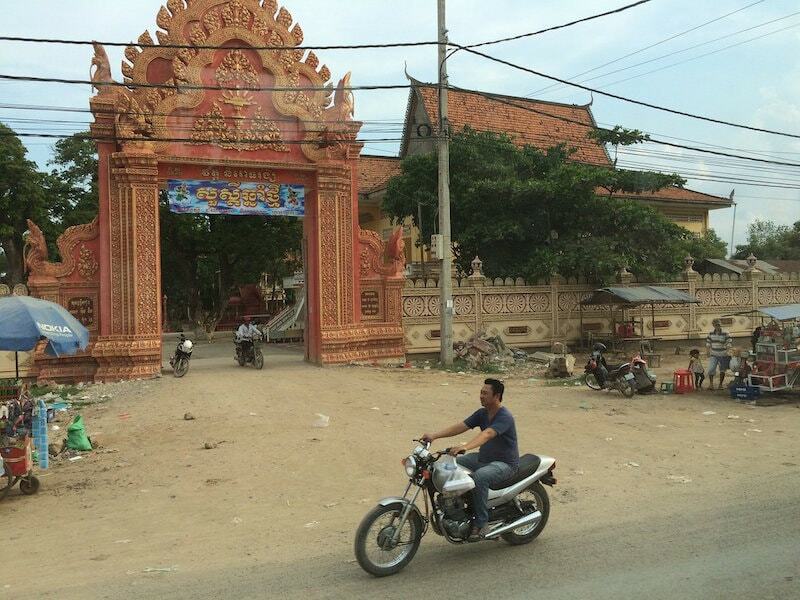 Random country temple with nagas, plus the usual food carts and piles of rubble. 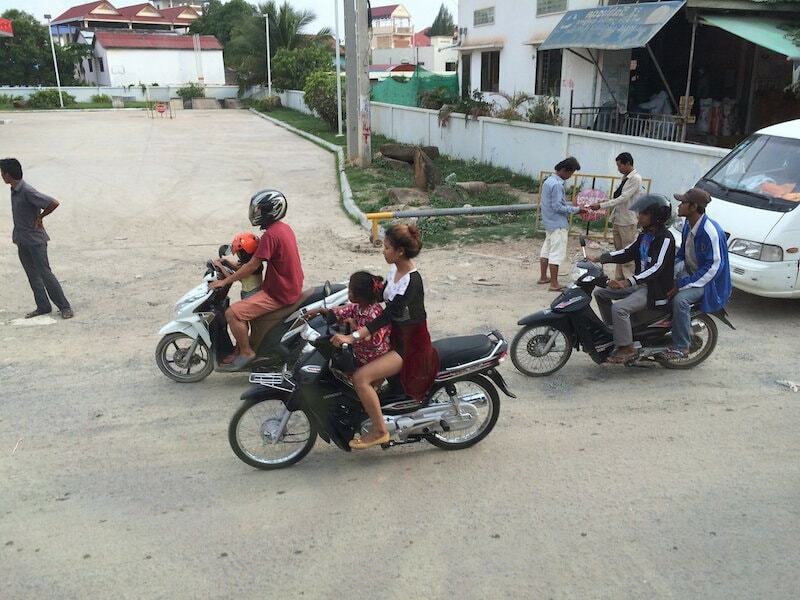 Real motorcycles more common in Cambodia vs. Viet Nam where locally made bikes under 150cc are cheap, and imports have 100% duty added. 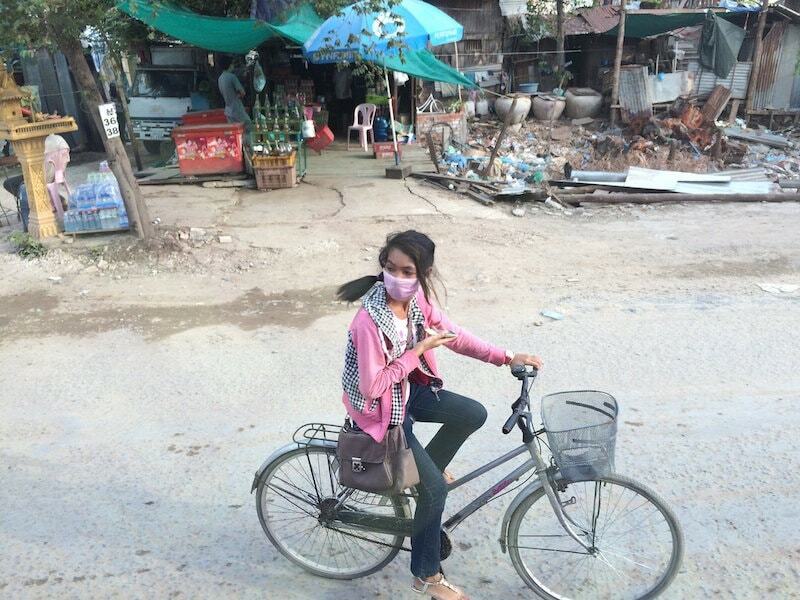 Mask, dusty bike, cellphone. I could have cropped it but this picture has everything typical: a small business, piles of junk and construction materials, dirt, and a spirit house. 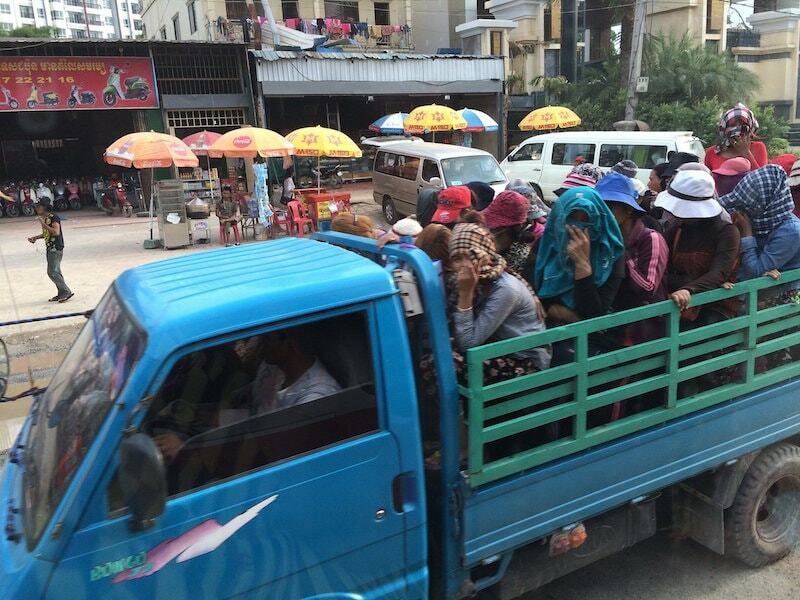 So many trucks full of women were pouring out of Phnom Penh at evening rush hour. 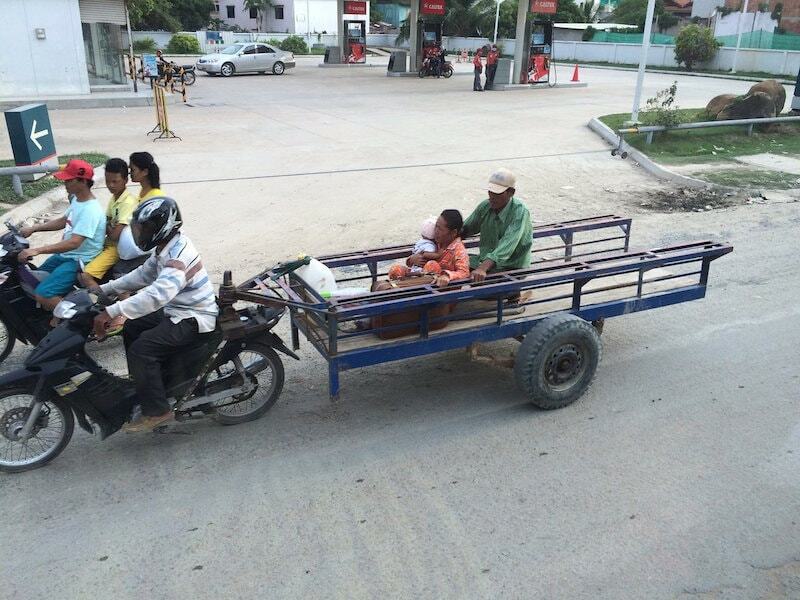 There is a similar thing in San Francisco with buses of Google, Yahoo, Facebook employees, but they have wifi. What if he has to stop fast?